The California House has just passed a proposal that will prevent personal and religious beliefs as a reason to exempt a child from being vaccinated at school. Senate Bill 277, which is now in the hands of the Senate for approval, comes after the recent outbreak of measles linked to two Disneyland theme parks. Once the bill passes, it will only allow vaccine exemptions based on medical reasons, not personal or religious. The outbreak from January to May of this year saw 173 people in 21 states develop measles; 117 of those cases were said to come from Disneyland in Orange Country, California. The bill will require parents to either give their children the 10 federally recommended vaccines or find an alternative form of education, such as homeschool or independent study “distance learning” administered by a local education agency. 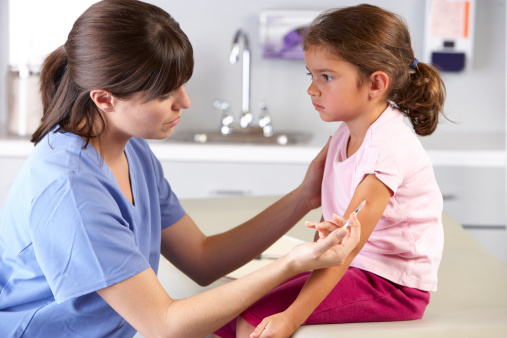 Vaccine exemptions are possible if a doctor provides a written exemption—although nearly 99% of children are denied exemptions based on the federal guidelines. If the bill passes, California will join Mississippi and West Virginia—two other states that ban religious and personal-belief vaccine exemptions. Thirty-two other states won’t allow parents to deny their children vaccines because of personal beliefs. Martinez, M. et al., “California vaccine bill that bans personal, religious exemptions advances,” CNN.com, June 25, 2015; http://www.cnn.com/2015/06/25/health/california-vaccine-bill/index.html.